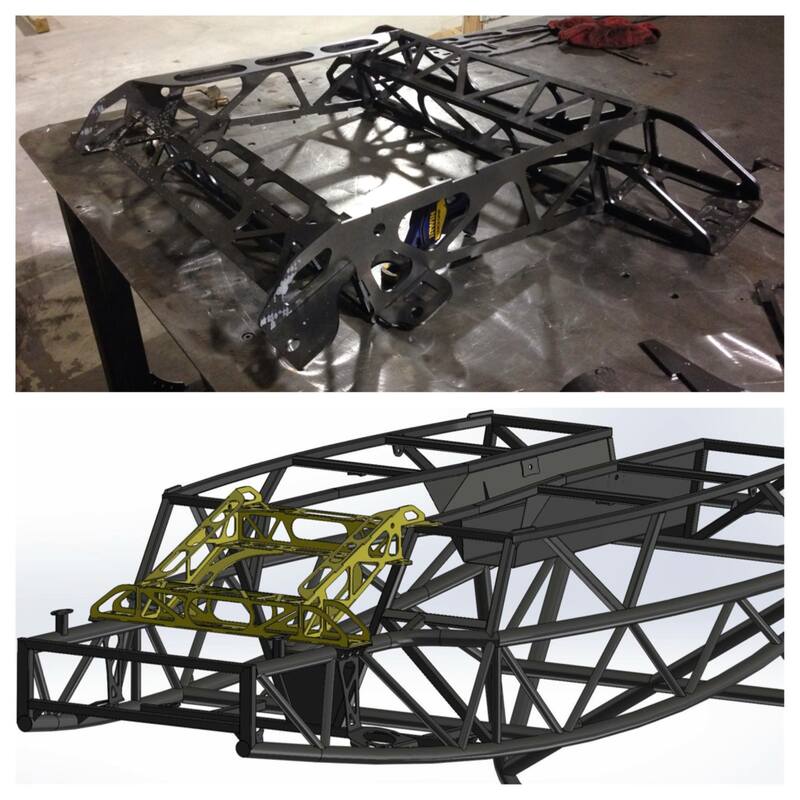 Exomotive - US Manufacturer of Exocars & Kit Cars | New front subframe base design! New front subframe base design! Behold our new ultra precise front subframe brace used to hold the front of the Exocet chassis together during welding. This part represented quite an engineering challenge for us as it holds 12 points of constraint in 5 degrees of freedom (four points have 6), allows for full weld access, and also remains snag-resistant for the weld lead. On top of that it needed to be very rigid, self-aligning, resistant to warping during its own assembly, and light enough to be installed by hand. We are very happy with the finished product and have immediately put it into the production process, resulting in our most precise Exocet frames to date.